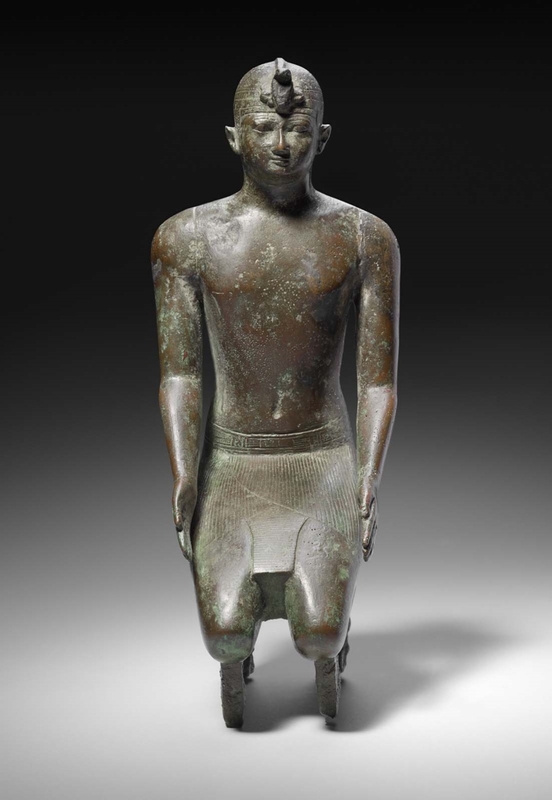 This fine bronze statuette portrays a kneeling king wearing a shendyt kilt, a pair of bracelets, a choker, and a close-fitting cap crown with a wide diadem and uraeus. 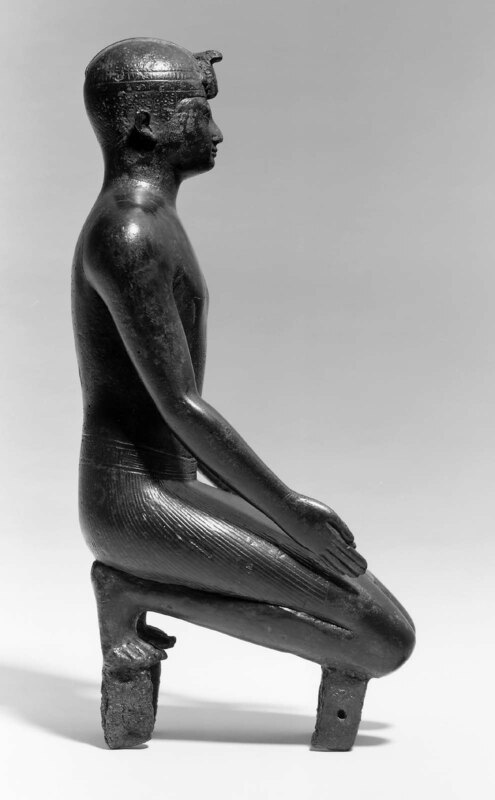 His open hands rest on his knees, where they may originally have held a cult object. 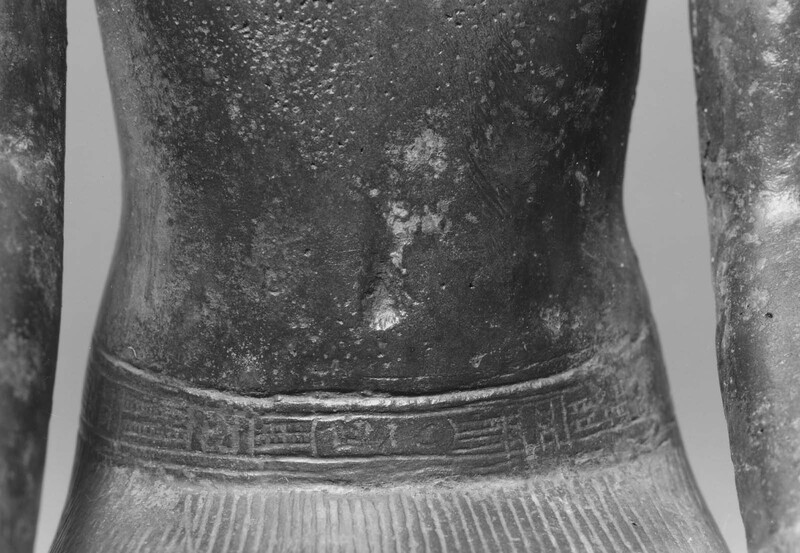 A cartouche on the king’s belt identifies him as “Neferkara,” the prenomen of king Peftjauawybast, who ruled from Herakleopolis at the time of Piankhy’s invasion of Egypt. Four tangs on the bottom of the statuette indicate that it was once attached to a separate base. 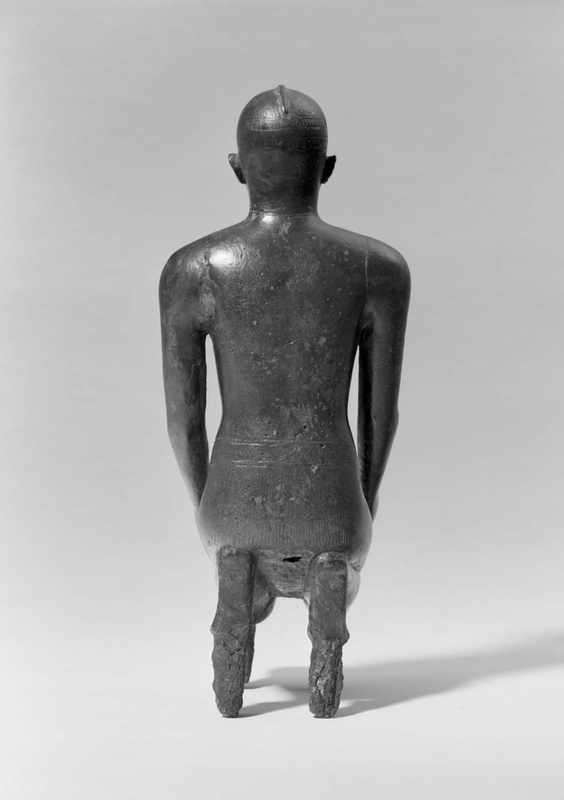 It probably formed part of a composite group showing the king before a god. By 1954: Cairo private collection (published by J.M.A. Janssen in Varia Historica Aangeboden aan Professor Doctor A. W. Byvanck [Aasen, 1954], pp. 22 ff. ); by 1977: with Mr. Bruce McAlpine, London; 1977, purchased by the MFA from Bruce McAlpine.